WHEN WAS CAMBOFEST, CAMBODIA'S FIRST INTERNATIONAL FILM FESTIVAL, ESTABLISHED? CAMBOFEST was launched in January 2007 (2550 Buddhist calendar), and is the first internationally recognized film festival in Cambodia. Since paving the way in 2007, many other regional film festivals have emerged to follow in our footsteps! IS THERE ANOTHER INTERNATIONAL FILM FESTIVAL IN CAMBODIA - ARE YOU AFFILIATED? Since CamboFest paved the way for other ASEAN regional film festival events back in 2007, we are happy to say that several other motion picture festival events have started up in Cambodia, thus fulfilling the initial CamboFest aim of developing the film industry in Cambodia. 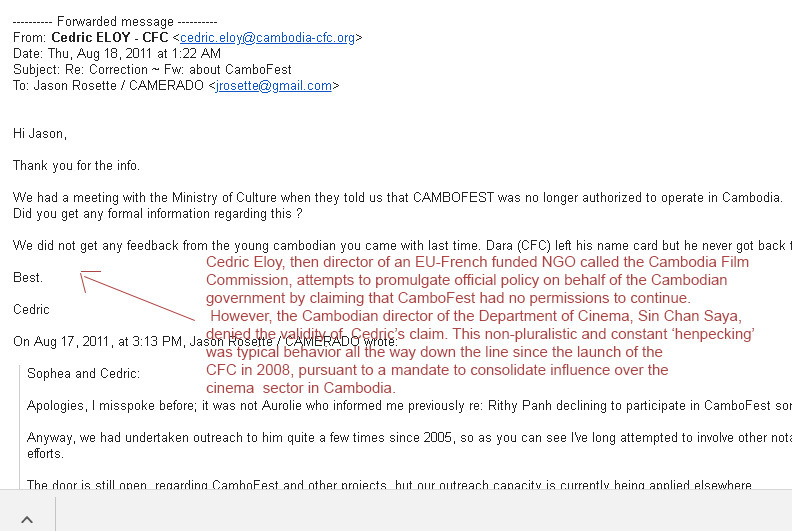 Of note in particular is the EU-France funded Cambodia International Film Festival, which came on the scene in 2009. We're currently formulating an approach for future festival editions which relies more heavily upon newer formats and technologies, particularly online exhibition systems. 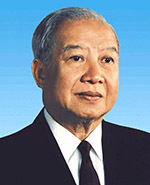 From our experiences running the CamboFest event and teaching media studies throughout the region, it appears that traditional motion picture exhibition is giving way to mobile, portable, and streamed entertainment in a very significant way which makes non-subsidized legacy events less attractive to a new generation of cinema-goers. Regarding the next festival edition: contact CamboFest to be notified about the latest news and call for entries info!